To be honest, I am not sure if such a place ever exists. Out of desperation, I rang up a friend for help. He is a native of Madrid, but knows other regions in Spain very well. 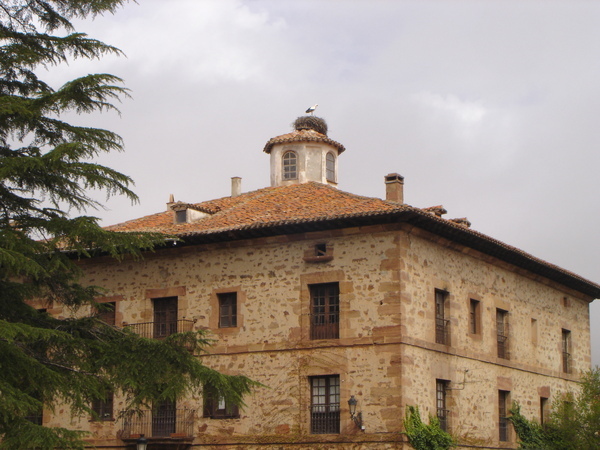 I told him about our requirements and he came up with a few suggestions, one of which is Ezcaray, a picturesque little mountain village in La Rioja. 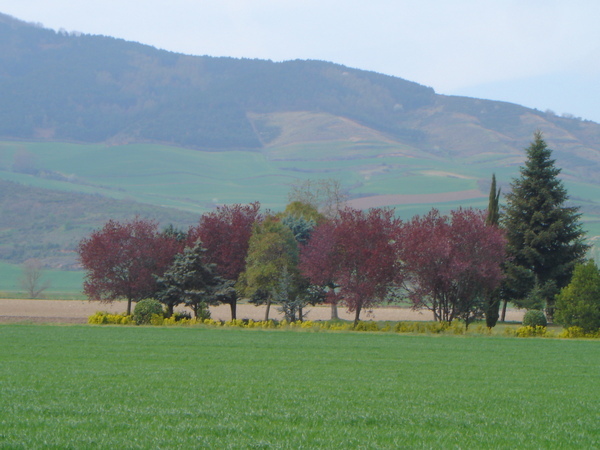 As I have always wanted to visit the world-renown wine growing region of La Rioja and sample its legendary tempranillo reds, I thought we might as well spend a week there, just an hour's drive from the heart of La Rioja's viticulture enterprise. So I booked the 2-bedroom apartment for one week and set about preparing for our trip to this mysterious little village. It was early April and the hilltops surrounding Ezcaray are still covered by snow. As soon as we drove up the little country road that would lead us ultimately to Ezcaray, my parents became enamored with the scenic countryside along the way. 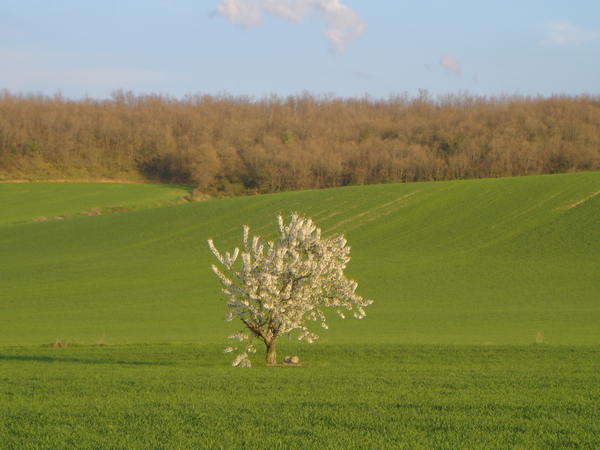 It was early spring and the air was still a little bit chilly, but the sun was warm and the blossom so picturesque that we were convinved the view would only get better. 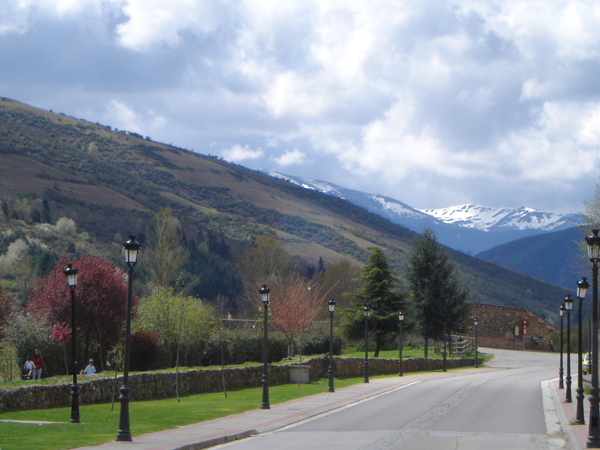 Ezcaray is a popular ski destination for local Spaniards. 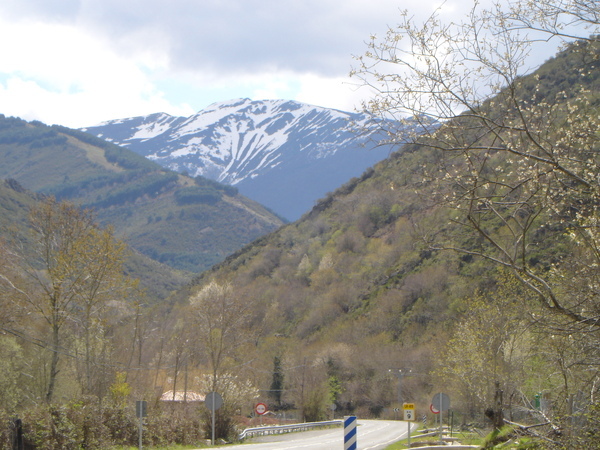 There is a well-equipped ski station right on top of Valdezcaray., 14km from Ezcaray. The scenic drive up the hill towards the mountain top ski station passes through picturesque little villages and hamlets, and you should watch out for cows that cross the road to graze on the green pastures on both side of the hair-pin bend. 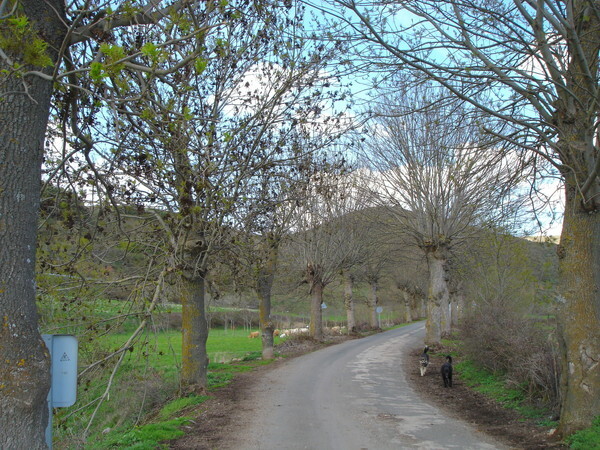 The countryside surrounding Ezcaray is full of quiet little country roads such as this one above. On the weekends, however, you would see a lot of holiday traffics on these roads, and the cobblestone streets of Ezcaray were parked with expensive Porsches, Ferraris and Jaguars. To our delight, Ezcaray is a very pretty little village full of centuries-old stone houses, heritage buildings and some very decent restaurants. 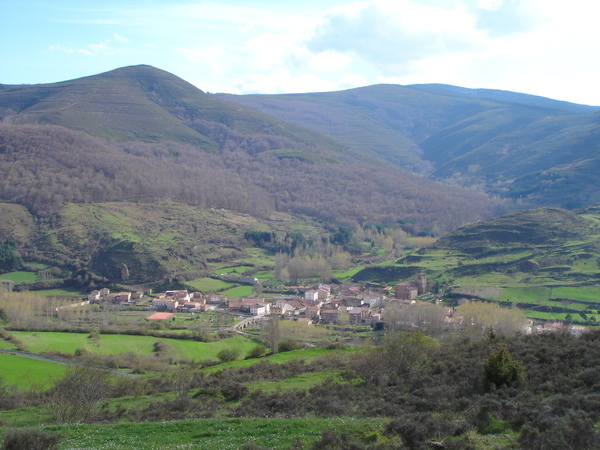 The view of the village and the surrounding valley from the drive up to the top of Valdezcaray. Traditional stone houses in the valley of Rio Oja. 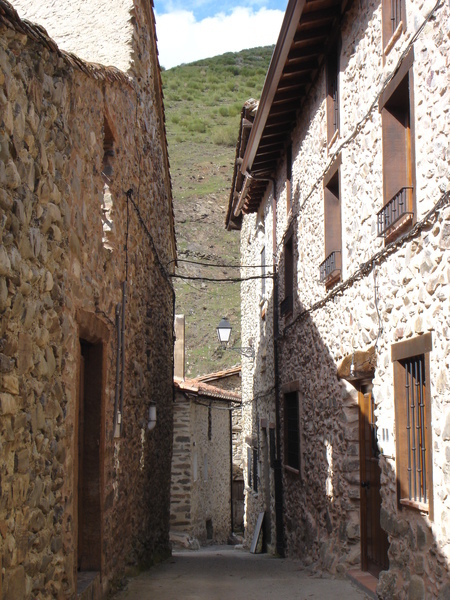 Original stone houses dated from the 18th century in the village centre of Ezcaray. On top of the house, a stork has decided it is the ideal place to set up camp and raise her baby birds. Copyrights 2009. All Rights Reserved. All photos and text by YC Cheng.